The Ring of Fire has nothing on this water slide! The 22' Liquid Magma is a HUGE volcanic slide! This 22 foot tall unit combines the fun of our inflatable single-lane water slide and inflatable slip n slides into one exciting water ride. Riders emerge from the lava wave at the top to head down the 22-ft high slide before launching down the 75-ft slip 'n slide! At the end, you can expect a dip into a HUGE wading pool! 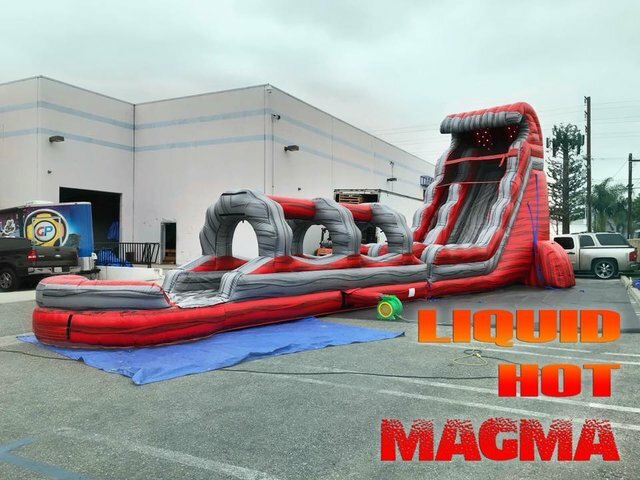 Liquid Magma is very popular and books fast, so reserve for your party today!